It was only a matter of time before the coordinates of the TARDIS would match up so that Atlanta's two largest DOCTOR WHO events combine for a truly wonderful WHOVIAN night! 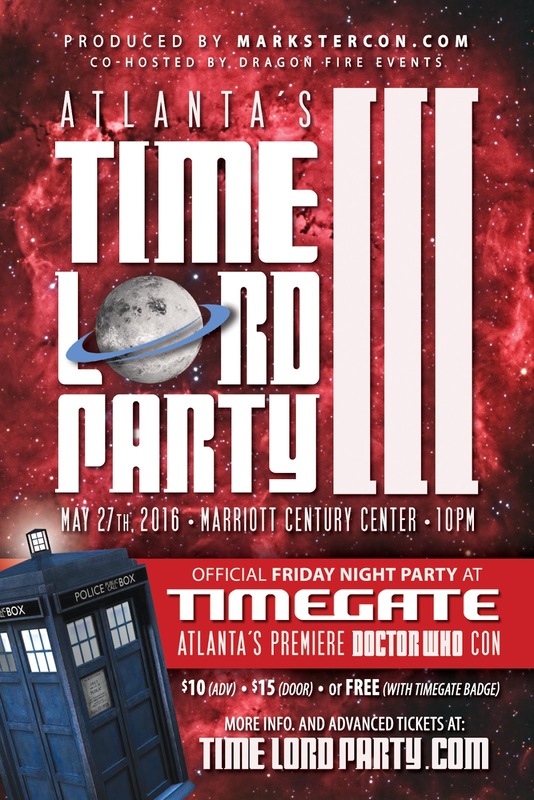 On May 27th, 2016, MarksterCon.com's 3rd annual TIME LORD PARTY, already infamous for overtaking The Masquerade, pairs up with TIMEGATE, Atlanta's premiere DOCTOR WHO convention, for a late-night Friday party. 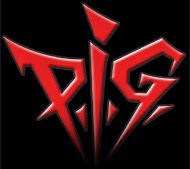 For those who have attended MarksterCon.com's TIME LORD PARTY before, it'll have many of the same wonderful elements but this time, with much more WHO. 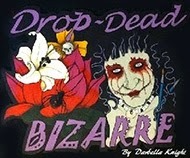 Not been to a TIME LORD PARTY, again co-hosted by Dragon Fire Events, before? If not, check out the 2014 video HERE and the 2015 video HERE (both by Jay Prescott videography). 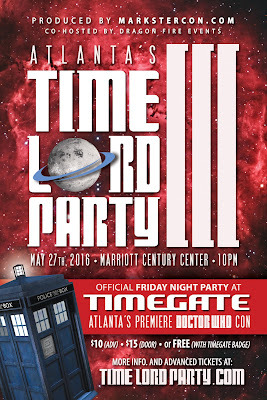 TimeGate is celebrating it's 11th year landing in Atlanta and for anyone who loves the Whovian way or life (along with British media and culture) this is a convention you won't want to miss, at the Marriott Century Center, May 27-29, 2016. Organizers have been able to work out the details to where both attendees to TimeGate (and non-attendees) can enjoy the TIME LORD PARTY III together. To find out how to get access to this gallifreyan great party on May 27th, you can read the details HERE. In a nutshell, you can either buy an advanced ticket or just pay at the door. But if you have a TimeGate badge, it's FREE! There's plenty of free parking in a great venue (non-smoking) with hundreds of your fellow Whovians! We are still finalizing details on entertainment and a few other aspects of the 3rd annual TIME LORD PARTY but for now, get this event down on your geek calendars ASAP.